Some time back, a TV footage emerged of a remote village in India. The video shows a young girl receiving surgery to separate her fingers, which were badly burned and fused together. Why did this operation make headlines around the world? The surgery was performed by a 7-year-old boy named Akrit Jaswal. Born on 23 April 1993, Now 15 years old, Akrit has an IQ of 146 and is considered the smartest person his age in India—a country of more than a billion people. Before Akrit could even speak, his parents say they knew he was special. At an age when most children are learning their ABCs, Akrit was reading Shakespeare and assembling a library of medical textbooks. When he was 5 years old, he enrolled in school. One year later, Akrit was teaching English and math classes. Akrit developed a passion for science and anatomy at an early age. Doctors at local hospitals took notice and started allowing him to observe surgeries when he was 6 years old. Inspired by what he saw, Akrit read everything he could on the topic. When an impoverished family heard about his amazing abilities, they asked if he would operate on their daughter for free. Her surgery was a success. After the surgery, Akrit was hailed as a medical genius in India. Neighbors and strangers flocked to him for advice and treatment. 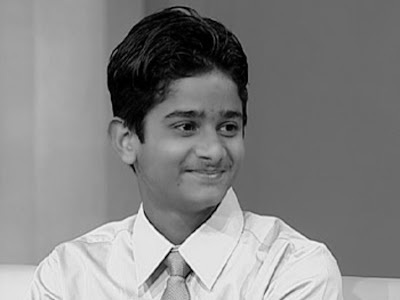 At age 11, Akrit was admitted to Punjab University. He’s the youngest student ever to attend an Indian university. That same year, he was also invited to London’s famed Imperial College to exchange ideas with scientists on the cutting edge of medical research. Currently, Akrit is working toward bachelor’s degrees in zoology, botany and chemistry. Someday, he hopes to continue his studies at Harvard University.